Shailesh Kumar, Namrata Dubey, Ruchir Khare. Background: Iron deficiency is more prevalent in young children and women of reproductive age group. Iron deficiency is generally slow to develop and often remain undetected until clinical picture arises due to its deficiency. Thus, early detection of iron deficiency is beneficial before the anemia sets in. The maternal iron level is important for the growth of growing fetus and is always required to have markers which can detect iron deficiency in early stage. The timely implementation of intervention to correct maternal iron status will improve the maternal outcome. Objectives: To study levels of serum transferrin and serum ferritin during pregnancy and their correlation with outcome of pregnancy. Materials and Methods: Longitudinal study was conducted on pregnant women reporting antenatal clinic in first trimester. Data in each trimester of 57 women was collected. Birth weight of new born delivered was recorded and statistical analysis was done by paired t-test. Result: 57 pregnant women were divided into two groups according to weight of delivered babies. 46 delivered low birth and 11 delivered normal birth weight babies. 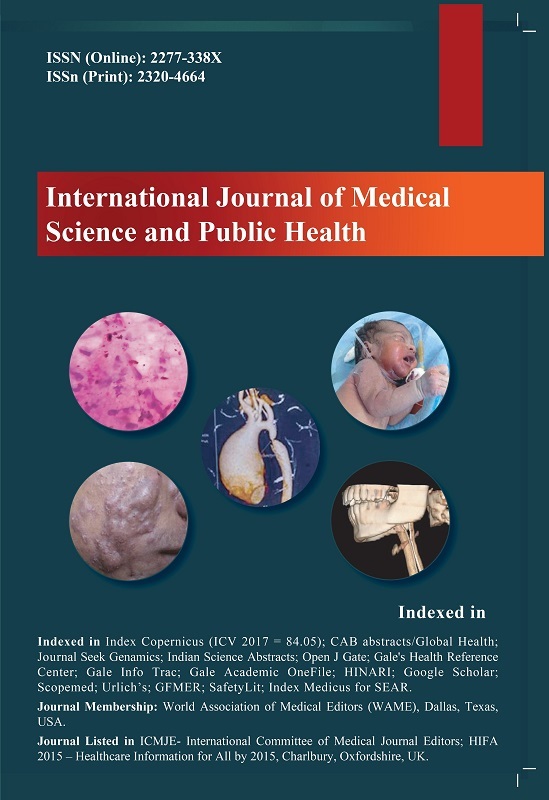 Serum transferrin was significantly higher (p < 0.05) in third trimester in group I subjects as compared to first and second trimester. Also it was significantly higher (p < 0.001) in third trimester in group I subjects as compared to third trimester level of group II subjects. The same comparison does not hold true when serum ferritin levels were compared. Conclusion: The finding of the present study suggests that serum transferrin levels measurement could be a better parameter for predicting pregnancy outcome and can be advised along with other routine hematological investigations.